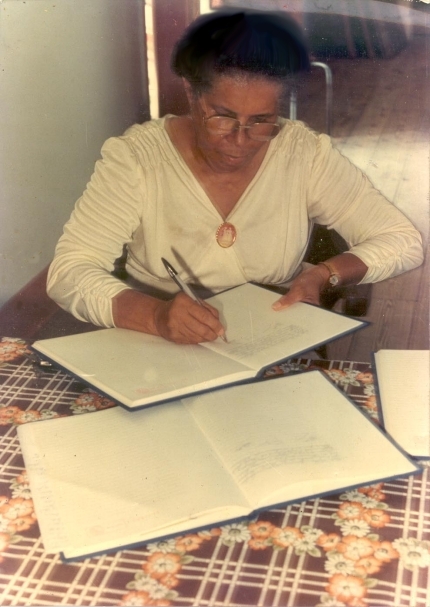 Madame Marguerite Valleray, the mother of Annick Brennen, a Christian Warrior, died on Sabbath morning, December 22, 2001 at 3:45 a.m. in a hospital in Fort-de-France, Martinique. She was 80 years old. The name Marguerite in the French language means "Pearl." Marguerite was certainly a pearl of great value to the Valleray Family, the Adventist Church, and community. Marguerite Valleray Seasons of Life: Age 45, 57, 80. 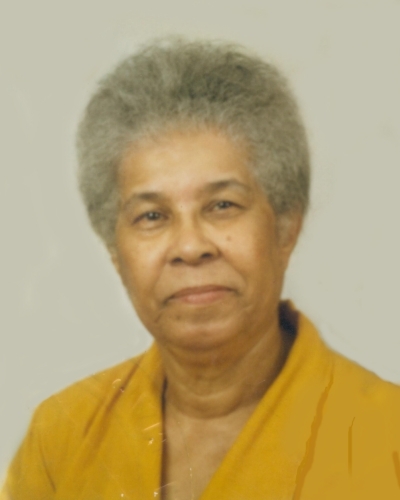 She worked for forty years for the Martinique Conference as a full-time teacher, then a full-time Bible Worker. She touched thousands of lives through her witnessing, preaching, and caring spirit. 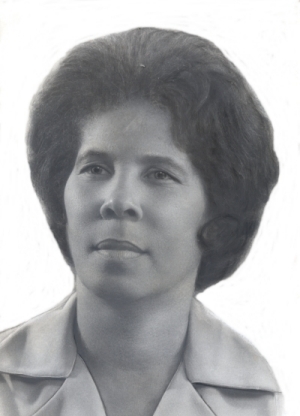 Madame Valleray was the only Adventist female in Martinique that held ministerial license. She was a trained high school teacher, an evangelist, Bible scholar, and theologian, fully taught by the Holy Spirit; a loving mother, grandmother, and great grandmother. She was an intellectual giant and free thinker. Her enthusiasm and spirit permeated the lives of all with whom she came in contact. 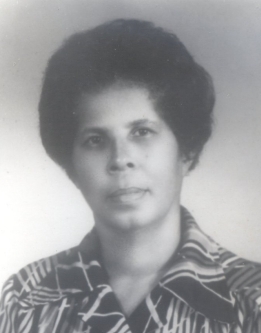 For more than 20 years (up to a few years before her death) she produced a Bible Study program for the Adventist Radio in Martinique. Although retired several years ago, she remained an active witness for Jesus. After her retirement at age 65 from full-time ministry, she owned and operated a Food and Nutrition Store in the heart of Fort-de-France, which helped to bring healing to countless lives. Her contribution to the growth and spirit of the church in Martinique is of inestimable value. She was certainly a "pearl" of great price." In this photo she is preparing a sermon. Madame Valleray died of cirrhosis of the liver and other complications on Sabbath morning. She is the mother of seven children: Pastor Guy Valleray, Ministerial Director, French Antilles Adventist Union; Pastor Joel Valleray, Adventist pastor in France; Chantal Valleray, an entrepreneur; Eric Valleray, a telecommunications specialist and administrator in Martinique; Annick Brennen, a teacher and administrator at the Bahamas Technical Institute, Bahamas; Micheline Ladilas, a banking administrator; and Ralph Valleray, a philosophy teacher at the Adventist College in Martinique. The funeral service was held at Smyrne Seventh-day Adventist Church, Martinique on Tuesday, December 25, 2001, 2:30 p.m. We await the great resurrection day. The homily was presented by her son-in-law, Pastor Barrington Brennen.